Anthropology in Practice: Breaking News! 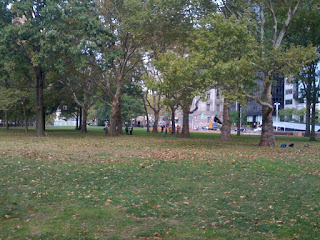 Landscape Change Underway in Battery Park! Breaking News! 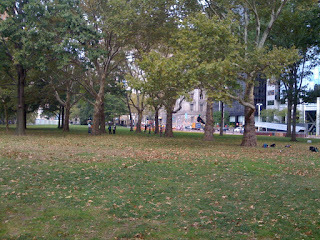 Landscape Change Underway in Battery Park! 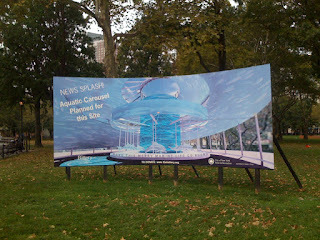 Image: Coming attractions planned for Battery Park. 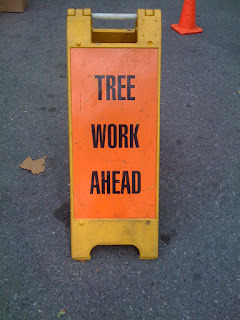 Image: Work in Progress sign in Battery Park. Tree work? What could that possible mean? Well, a quick look around revealed that a survey of the site was in process. Surveyors were walking the intended site of the carousel—and climbing trees to determine which would be cut down to make way for the coming attraction! In keeping with the previous post, we have an opportunity here to witness the actual reshaping of a landscape. What timing! More to come as this project unfolds. 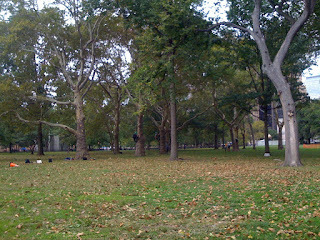 Image: Look closely at second tree from the right. See the surveyor climbing the tree? Image: Survey equipment on the floor. Image: Surveyors in tree and on the ground.